With almost 30 years of service, Fiat prepares the final version of the Mille, aka Uno. This car has been one of the key products for the expansion of the brand in Brazil, and Fiat wants to be grateful. The name of this final version is ‘Grazie Mille’, which in Italian means ‘Thank you very much’ and fits perfectly to the name ‘Mille’, very popular among Brazilians. Currently, the model is just called ‘Mille’ to differentiate it from the Uno, which was launched in 2010. 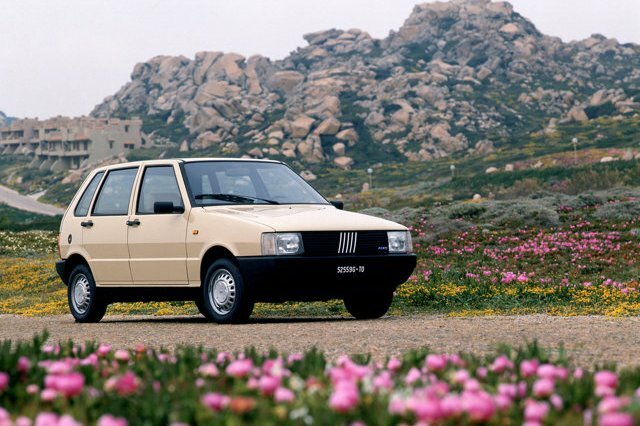 However the car is well-known for being the same Uno, launched in August 1984, months after the presentation in Italy. The Uno was the first global Fiat, and its mission in Brazil was to become the real successor of the popular Fiat 147. But it was in the early 90’s when the car became the Brazilian popular car and created the segment. The car was offered with small engines, but a turbo was available as well (1.4 with 118 hp). The introduction of the Palio in 1996 was a direct threat to the Uno, which was more or less unchanged since its launch, years before. But people continued to buy it, and the model was still available in 2004, when it had its first deep restyling. Fiat has produced more than 2 million units, but safety regulations made Fiat to halt production in the coming months. This will have an impact on the position of the Uno in Brazilian sales ranking. 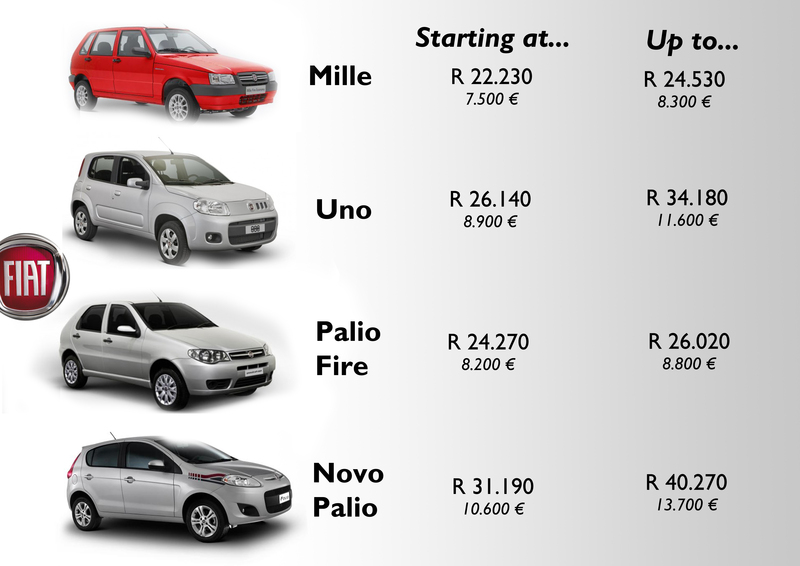 In the last months, the Uno’s sales (which include the Mille and 2010 version) have dropped continuously, as a consequence of the arrival of the new Palio. Fiat decided to launch the new generation and leave the old Palio with a lower price. It had a direct impact on the Uno 2010’s sales, as the price of the new Uno and old Palio were very closed. What will come for the Uno? An all-new Mille is expected to arrive in early 2015, in order to maintain the Fiat’s leadership in A-Segment. Meanwhile the Uno says ‘Grazie Mille’. Unfortunately, we do not know the sales of New and Old Uno Uno (mille) as sales are computed together. After this, we can’t deny, Mille still has a great market share in Brazilian Market, which will be open after Mille’s death. P.S: Uno Turbo, was the fastest Brazilian car in his time. Was made around 1100 Uno Turbo. hello friends. I’m Brazilian, and I’ve always been an admirer of fiat. Here in Brazil have a fiat punto evo, released in late 2012. The withdrawal of the fiat Mille production platforms due to the fact that the implementation of legislation in Brazil that requires the use of air bags and abs brakes, and production costs of fiat mille with these new safety features would be very high , which prevents the continuation of the car online. It will be a shame to manufacturing mille, because it is the first car of every Brazilian. Here in Brazil, the new generation of fiat sells very well in spite of stiff competition from the volkswagen gol and new hyundai HB20 and Toyota Etios, segment cars that are popular here in Brazil. I found a quote on your website in a club owners fiat bravo, where people discuss the same problem, because the brave is not well accepted in the market. Here in Brazil, it faces competition from the ford focus of the second generation and the fourth generation of golf!! It is amazing how brave you can not succeed in sales, and here in Brazil it was released in late 2010. It’s really a shame because I view the death of a great car, it would be a serious candidate successor of my fiat punto. Sorry for the long text and my English poorly, but I hope that I have been understood. Brazilian greetings!! Hug!